From the 70s through the first half of the 80s, the Haight had a thriving gay community rivaling the Castro. A dozen gay bars in the area included including the I-Beam, which hosted such bands as the Cure, Red Hot Chile Peppers, Duran Duran, and Siouxsie and the Banshees. 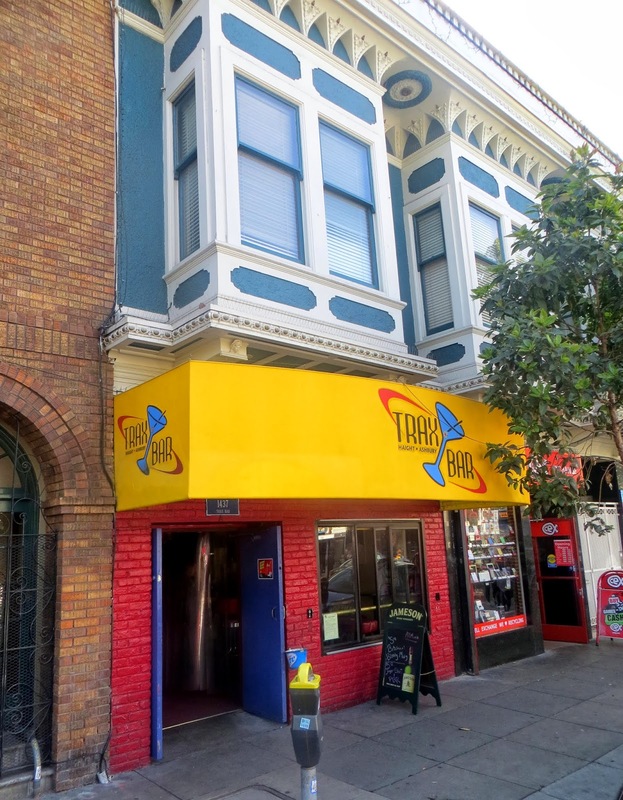 But unlike the Castro, the more bohemian Haight gay scene never recovered from the AIDS crisis, and Trax is now the single gay bar left in the neighborhood. From the outside it looks like a vintage gamers' scene, but the inside is bathed in velvety reds and rainbows. The site is said to have hosted a bar since the 40s, and it's now one of the oldest running bars in the Haight. It's now a fairly standard gay dive bar, with strong, cheap drinks, friendly bartenders, and a mellow vibe.